This post will provide an in depth overview of my current skin care regimen. This regimen changes on a semi-regular basis depending on my skin’s needs or seasonal changes. I apologize for the length of this post, but I wanted to provide as much information as I can while answering your questions if you have any. I have to start this post by providing details about my personal skin type & where I live. We all have different skin care needs, types, & regions/climates we live in which will greatly affect the type of skin care products we can use. I have also been devoted to taking care of my skin as far back as I can remember. My mother gave an amazing example to us & always made sure we stayed out of the sun & if we went out, we ALWAYS had sunscreen on! I have been using a regular skin care regimen since I was 11 years old. I am majorly blessed with parents who have amazing skin! Neither one of them look their age, so I cannot take credit for that one. Genetics plays a major factor in aging. I am 31 years old with very oily, sensitive & acne prone skin. My biggest issue is that my skin is easily clogged. Any heavy or harsh skin products clog my pores like crazy & I break out. I also deal with hormonal acne during “that time”, which is focused predominantly on my chin area. Unfortunately this is a very common area for women to break out & the culprit is mostly hormones. Since that is the case, there is not much that can be done to stop it other than maintaining your skin. I do not have any wrinkles, but anti aging is very important to me. I live in a VERY humid & HOT climate which is that way about 90% of the year, I have to use lightweight, non-greasy skin care products. Otherwise I am an oil slick & covered in acne in a minute! If I lived in Arizona where it was very dry, my skin care regime would differ quite a bit. Because I live in such a hot climate, this has really negatively affected my skin. I have lived here for about 9 years & in that time I have dealt with the worst break outs of my life. It has ranged from deep cystic acne to hundreds of small bumps all over my face. A. It is winter so the humidity levels have dropped a lot! My skin is always vastly improved in the winter time! B. Because it is not hot, my skin is not pumping out as much oil, so at this moment my skin is combo/”normal”..dare I say?! This will not last so I can definitely look forward to oily acneic skin starting in April. Phew! That was a lot of information so kudos to you if you are still reading! Now onto the products I use & why I use them. My morning face wash is the L’Oreal Paris Go 360 Clean Deep Facial Cleanser which can be purchased on the image link below. This is a wonderful face wash for those who battle acne & sensitive skin. It is not harsh, but it deep cleans my skin wonderfully. If you have similar skin as me, I highly recommend this! 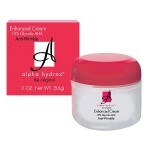 My daytime eye cream is the Mario Badescu Hyaluronic Eye Cream. You can purchase this eye cream by clicking on the image below or you can go to your local ULTA & they should have it in stock. This is lightweight but does a great job of moisturizing your eyes. My sunscreen which I LOVE is the Neutrogena Clear Face Sunscreen Lotion SPF 55. This stuff is wonderful for acne prone skin & when I wear it, not one ounce of tan or color gets through from the sun! I maintain my “lovely” pasty skin! It is wonderful for those who are concerned with the sun aging their skin; no UVA or UVB rays get through this! 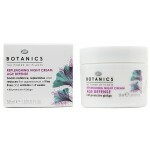 My daytime neck cream is the Boots Botanics Age Defense Replenishing Night Cream. 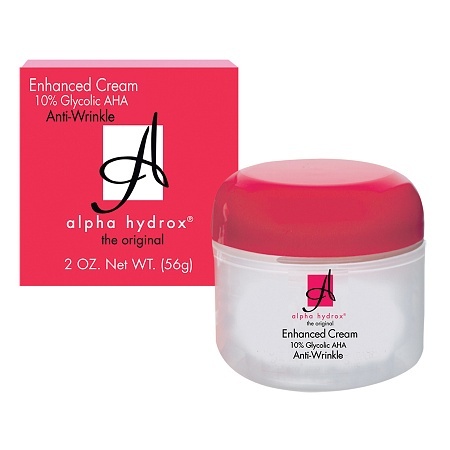 It says it is for night time, but I love this cream so much because it is lightweight & makes my neck feel like silk! I will say it smells very herbally so if that bothers you, this may not be best for you. I am currently on the hunt for a good daytime lotion. All of the ones I have tried thus far have broken me out or they are really greasy as the day goes on. If you have any suggestions & have the same skin type as me, please let me know! If I have worn make up that day, I always remove my makeup one of two ways. My favorite is to use Coconut Oil; any brand will work, & I warm it in my hands & massage off the makeup. This is great for your eyes as well. It is the only makeup remover that does not burn my eyes & it removes the most stubborn waterproof eye makeup easily! If I take a shower at night, I use the Neutrogena Fresh Foaming Cleanser which does a great job as well. It is not as effective at removing eye makeup, but I like that it does not irritate my skin. It can be purchased through the image below. I use the face wash in conjunction with a face scrub. The one I like for the moment is the Yes to Grapefruit Daily Facial Scrub. I can’t say it is “amazing” but it does a nice job exfoliating my skin gently. I don’t always use a night time eye cream, because my eyes are so oily that most of the time I wake up with naturally “moisturized” eyes. 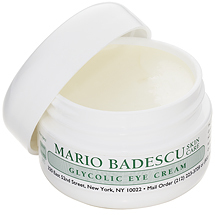 However, if my under eye area is feeling dry in the winter time, I use the Glycolic Eye Cream also by Mario Badescu. Unfortunately this can only be purchased through their site or at ULTA. My night time neck cream is much more moisturizing than my daytime. I really like the Studio 35 Vitamin E Cream. I think a lot of women overlook their neck & that is such a mistake. Our necks show our age quickly, so we need to pay as much attention to our necks as we do our faces. My last product is a new one for me, but I am already in love with it! 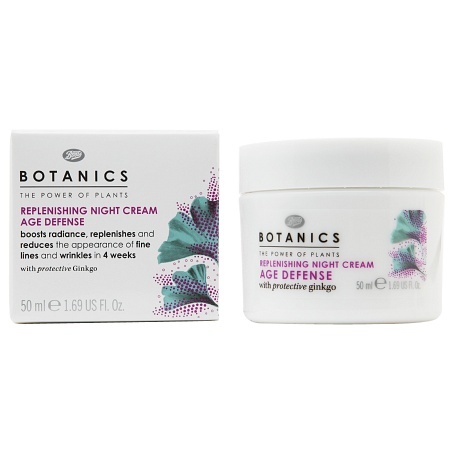 It is the Boots Botanics Age Defense Microdermabrasion Polish & it is awesome! I use this twice a week & the formulation is great! The exfoliating granules are even in texture & not too harsh, so every square inch is being exfoliated evenly. It gets rid of all flaky skin without irritation & I really think you will like it! I think microdermabrasion & exfoliation is key to beautiful skin no matter what type you have. The key is finding the right product for your skin. That sums up my current skin care! It changes as my skin’s needs changes, so about every 6 months I adjust what I use. I am sorry for the length of the post, but skin care is very important to me. If this is something you would like to know more about, please let me know & I would be happy to write more blog posts with recommendations & go into deeper detail. I've found that along with coconut oil being great for removing makeup, it's also great as a moisturizer. 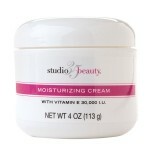 I have very dry skin right now due to our wintery weather, and it's my day and night moisturizer. It also helps lashes grow if you apply a thin coat to your lashes before bed! Great tip! Thank you so much Katie! I like the Aveeno Radiant moisturizer for day use. It's light, non-greasy and SPF 15. I get it at Walgreens. Thanks for the tips, my eye cream is finishing and I'm in the market for a new one. Your recommendations are just the right price! You are welcome for the eye cream recommendations! I hope they work great for you! I will have to try the Aveeno Radiant moisturizer; I have not tried that yet. Thank you KG! Lovely as always. Thank you for sharing your routine. Coconut oil is so wonderful. I use it on my hands during these harsh winter months and it keeps them from cracking. I have found it is also good for Emma's biracial skin issues. When she gets too dried out in the winter season we apply the coconut oil to her elbows and knees and she isn't ashy any longer. Works great! Thanks again and I'll have to give this a try! 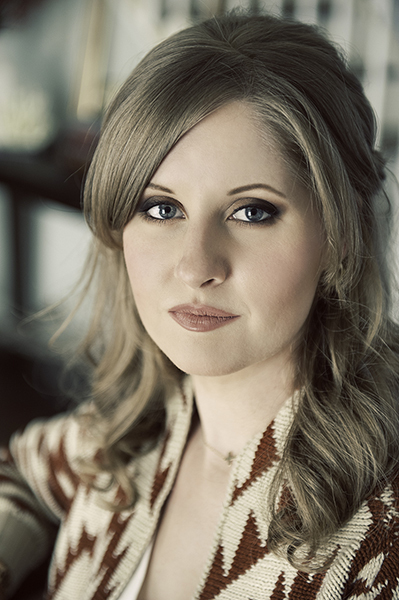 I wanna see more blog posts from you! !